VPNs are used in different ways by different people. Corporate users use it to connect to their workplace from other locations, students use it to bypass firewalls and website blocking still some others use it for the added security while using public WIFIs. VPNs are the best way I know to bypass firewalls or hide my tracks online. There are many VPN service providers, both free and paid. VPNBOOK.COM is a free VPN service provider. They offer different servers based in Romania, UK and US. Their service is absolutely free and is based on advertisement and donation. They offer two kinds of encryption PPTP and OPENVPN. You can get the server address, username and password from the website itself without needing to register or login. However,one annoying thing is that the password changes every few days or week. So, you have to keep visiting the website to get the updated password. * Speed is not as fast as paid VPN providers, but I think thats a bit too much to ask since it is a free service. Vpnbook is probably the best free vpn service provider I have ever used. I have used many free VPNs and I used to face connectivity issues, bandwidth restrictions etc, but not with VPNBOOK. Apart from my laptop, I also use it in my Android mobile when using college wifi or public hotspots. 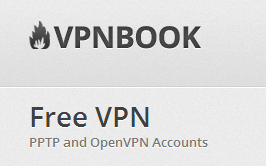 So, if you need a free and reliable VPN service provider, vpnbook is the one you need. NOTE: I am not paid to write this article. It is just my views and opinion after using the service. 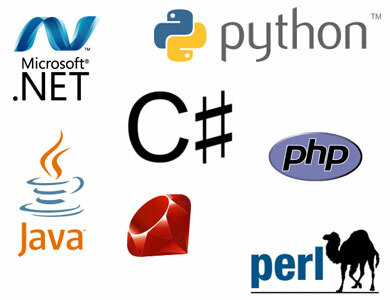 Those of us from computer science background know programming languages. In college, we are taught C,C++,Java etc. But colleges don't teach us everything we need to know. For example, I believe it is very important for a computer science student to know how to program in PHP or .NET, unfortunately, many college courses doesn't teach that. So, what if you want to learn a programming language? You can either enroll yourself in an institute and pay money or learn it yourself for free. You can learn almost all programming languages online with all the free resources available. Here, I will list a few of the best websites or youtube channels which provide free tutorials on programming. This website is probably the best I know for learning programming languages, especially for beginners. The explanations are clear and concise. All of them are videos, which means you can learn just by watching and listening, although it would be a good idea to practice too. This is a youtube channel and there are many video tutorials, It is best for learning Java GUI programming using Netbeans IDE. There are videos on SQLite, MySQL, JSF and C# as well. SecurityTube is basically a youtube for hackers. There are new videos all the time, and there are tutorials on Assembly language programming under Linux and Windows. There are also tutorials on Metasploit, Wifi Hacking, Python Scripting, Buffer Overflow and Exploit writing. An excellent site if you want to learn hacking. This is an excellent youtube channel for learning ASP.NET. There are well over 200 videos teaching not only ASP.NET, but also SQL Server and C#. This website/youtube channel is run by a guy named Eli. Although his video lectures are more focused on computer hardware and networking, you will find plenty of video tutorials/lectures to satisfy your urge to learn more about IT in general. Eli talks about a wide range of topics from hacking to cloud computing, networking to programming.